Weight loss myths are the easiest scam to fall into. Who isn’t Looking for a quick and easy way to lose weight? You’re not alone and the marketers lying in wait to feed you product after program after pill! An estimated 50 million Americans will go on diets this year. And while some will succeed in taking the weight off, very few–perhaps 5 percent–will manage to keep all of it off in the long run. One reason for the low success rate is that many people look for quick and easy solutions to their weight problems. They find it hard to believe in this age of scientific innovations and medical miracles that an effortless weight-loss method doesn’t exist. 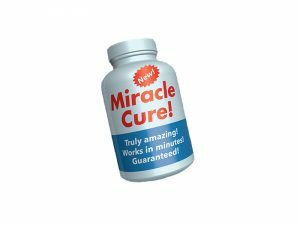 Some natural products like hoodia and green tea can help but not one thing alone is going to create the miracle. And they invest their hopes (and their money) in all manner of pills, potions, gadgets, and programs that hold the promise of a slimmer, happier future. The weight-loss business is a booming industry. Americans spend an estimated $30 billion a year on all types of diet programs and products, including diet foods and drinks. Trying to sort out all of the competing claims–often misleading, unproven, or just plain false–can be confusing and costly.